Apple looks set to reveal a new iPhone SE 2 soon which will bring features from the top-end iPhone X to an affordable handset. 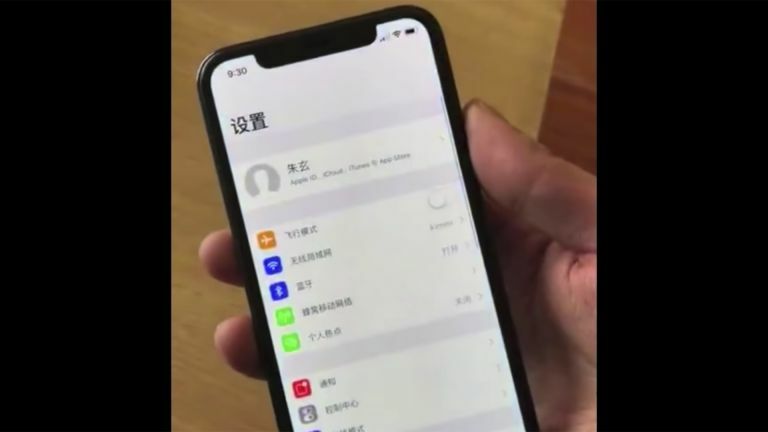 The video, leaked on Mac Otakara, shows off what is apparently the new iPhone SE 2 handset. It looks a lot like a perfect cross between an iPhone X and an iPhone SE. There have also been some mockup sketches leaked on BGR which appear to support this form factor. T3 also reported a previous leak about Apple working on an iPhone SE 2. You will immediately notice the squarer shape of this phone than the current higher end iPhones, much like Apple’s older iPhone design style. But then there is that iPhone X style top-notch and bezel-free display – something which has been rumoured to appear on all of Apple’s iOS devices in the future. Of course this must be taken with a pinch of salt. Notice that lock icon remaining on after the phone is unlocked? That suggests this could be an Android build made to look like an iPhone. Of course it could simply be a bug in what is a very early version of the iPhone SE 2. Apple has previously been rumoured to release three new iPhones this year with a 5.8-inch iPhone X, a 6.5-inch iPhone X Plus and a more affordable 6.1-inch LCD display toting handset which could be this iPhone SE 2.